Mini credit card sized portable design with included neoprene carry case. Perfect for handbag or pocket (3.5in x 2.5in x 0.5in). USB charging cable. • Connectors Mini USB, Micro USB, 30 Pin, Samsung Galaxy Tablet. Key Features. Haven't receieved your item?. It is thenArgos' responsibility to inform you once your parcel has arrived and is ready for collection. 2 x Pebble Ministick. 2 x Multi-lingual User Manual. It is thenArgos' responsibility to inform you once your parcel has arrived and is ready for collection. What’s in the box. Haven't receieved your item?. The stylish design incorporates a screw on cap to protect the Smartstick ports and also allow the Pebble karabiner to connect so you can hook onto anything. Key Features. - Screw on dust cap for port protection with clip on karabiner. Veho Pebble Smartstick, 2200mAH Portable Battery Charger, 5 adaptors - Pink. Condition is New. Dispatched with Royal Mail 2nd Class. 3700mAh @3.7V Capacity. This model is compatible with all iPhones but does not include an Apple lightening cable but lightening cables are compatible and can be used with it. Huge capacity 5000mAH, (about 400% of 3Gs iPhone battery life capacity). - 1x Pebble External Battery. Key Features. - 1x User Manual. (Mini credit card sized portable design with included neoprene carry case. Perfect for handbag or pocket (8cm x 6cm x 1cm). extra music playback). Screw on dust cap for port protection with clip on karabiner. (Condition is New. 1 x Veho Pebble Verto 3700 mAh Power Bank, Grey. extra music playback). Mini credit card sized portable design with included neoprene carry case. Auto shutoff mode to protect against short circuit, over-current, over-charging and over-discharging. Mini credit card sized portable design with included neoprene carry case. Perfect for handbag or pocket (8.5cm x 6cm x 1cm). It is thenArgos' responsibility to inform you once your parcel has arrived and is ready for collection. Battery Capacity: 1800mAh @ 3.7V. The Pebble Verto Pro now includes an MFi Apple® Lightning cable, which is compatible with the latest iPhone®, iPod® and iPad®. Pebble Verto Portable Power Bank. Item faulty?. Receieved the incorrect item?. With a soft touch Tacton rubber finish. The all new Pebble Ministick still possesses classic Pebble features such as a built-in USB output, so all you need to do is plug in your smartphone charging cable and you’re ready to go. Veho Pebble Verto Portable Power Bank- 3700mAh (Grey). Product Family Pebble. Colour Grey. Capacity 3,700mAh. Product Type Battery Power Adapter. Application/Usage Gaming Console. Application/Usage Smartphone. The stylish new design incorporates a screw on cap to protect the Smartstick ports and also allow the Pebble karabiner to connect so you can hook onto anything. It is thenArgos' responsibility to inform you once your parcel has arrived and is ready for collection. 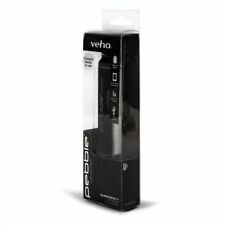 VEHO PEBBLE SMARTSTICK power bank. Pebble shaped for an eco friendly ergonomic design. Key Features. power when you need it. Compatible with most popular devices including: iPhone, iPod, Blackberry, Sony and devices such as Fitbits and E-Cigarettes that use Micro USB. 2200mAh battery. Condition is New. Veho Pebble P-1 Portable Power Bank (10,400mAh) – VPP-007-P1. The Pebble P-1 from Veho has a large 10,400mAh capacity with dual USB ports designed to enable charging of 2 devices simultaneously. 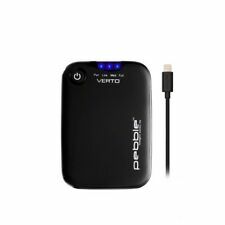 - Veho P-1 Power Bank - VPP-007-P1. Available in 4 super sleek and stylish colours (Black, Silver, Pink, Purple). It is thenArgos' responsibility to inform you once your parcel has arrived and is ready for collection. Haven't receieved your item?. 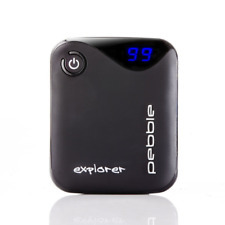 · - PebbleVerto Portable Power Bank. · - Carry Pouch. · - Micro-USB toUSB-ACharging Cable. · - Apple®MFi Lightning Charging Cable. The stylish design incorporates a screw on cap to protect the Smartstick ports and also allow the Pebble karabiner to connect so you can hook onto anything. Alarm Clocks. Portable Audio. Alarm Clock. Pl ease thoroughly inspect the item upon receipt. (Lightning cable not included). 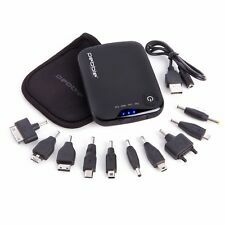 - Huge capacity 5000mAH, (about 400% of 3Gs iPhone battery life capacity). - 1x Pebble External Battery. Alarm Systems. Alarm Clock. Alarm Clocks. Portable Audio. Fancy Dress. 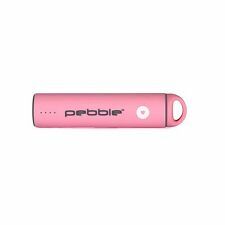 Veho contribute £1 to Breast Cancer Campaign for every Pink Pebble Charity Contribution Edition sold. 2 x Pebble Ministick. 2 xMulti-lingual User Manual. It is thenArgos' responsibility to inform you once your parcel has arrived and is ready for collection. What’s in the box. Haven't receieved your item?. 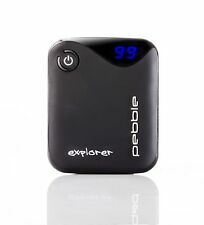 Pebble Explorer recharable battery. - Carry pouch. Veho Pebble Endurance Power Bank. The Pebble Endurance features a rugged, rubberised finish that’s designed to be taken outdoors. The Endurance has a handy karabiner loop and built-in LED torch for using the Pebble at night. 1 x Pebble Smartstick. Veho contribute £1 to Breast Cancer Campaign for every Pink Pebble Charity Contribution Edition sold. It is thenArgos' responsibility to inform you once your parcel has arrived and is ready for collection. New Unopened Pebble Ministick Portable Battery. Pebble Ministick. Multi-lingual User Manual. Micro-USB to USB-A Charging Cable. What’s in the box. · Smartphone compatible. 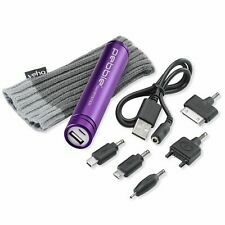 1 x Pebble Powerstick 2600mAh; 1 x Apple approved MFI Lightning Charging Cable; 1 x Micro USB Charging Cable; Multi-lingual user manual (English, French, Spanish, German, Italian, Portuguese, Russian, Japanese, Chinese). With a USB-C™ input charging port, the Pebble P1 is compatible and future proof for new USB-C devices and cables, so you won’t have to update your power bank when you update your smartphone, tablet or portable device.